Today I am spending the afternoon replenishing our packed lunch stock by baking lots of different kinds of crackers: animal crackers, saltine crackers, cream crackers, graham crackers…we will see how many I can get around to before the boys get home from school. 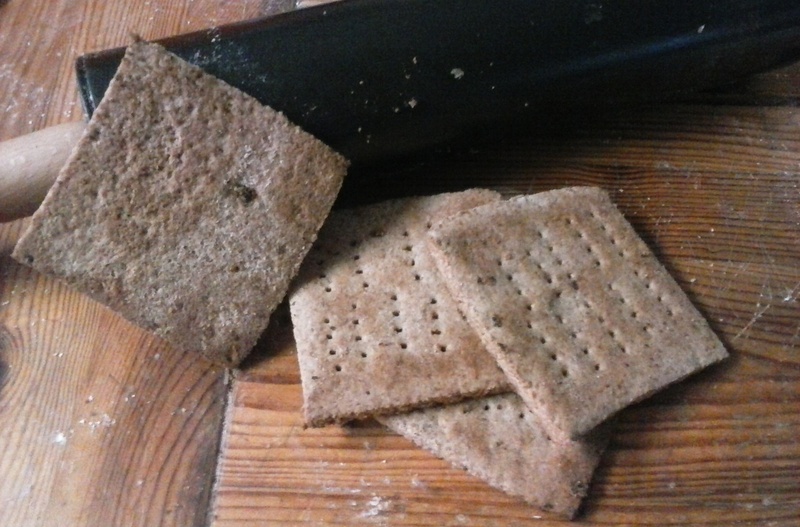 If you’d like to find the recipe for our delicious, healthy graham crackers, just scroll down! More cracker recipes are sure to follow soon. 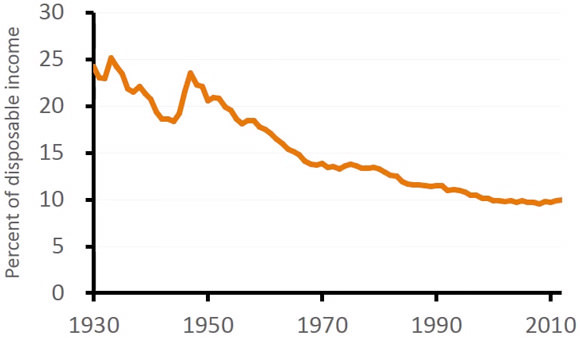 Yup, that’s right: we are allotting less of our income to purchasing food than ever before, even with a cultural increase in eating out. “So, what does this all have to do with crackers?” you ask. Well, as I took my graham crackers out of the oven and looked at each one’s slightly different shape and bake, I thought “well they certainly don’t look uniform enough to be store bought.” Suddenly my mind reflected back on the conversation with my brother. And I realized something. 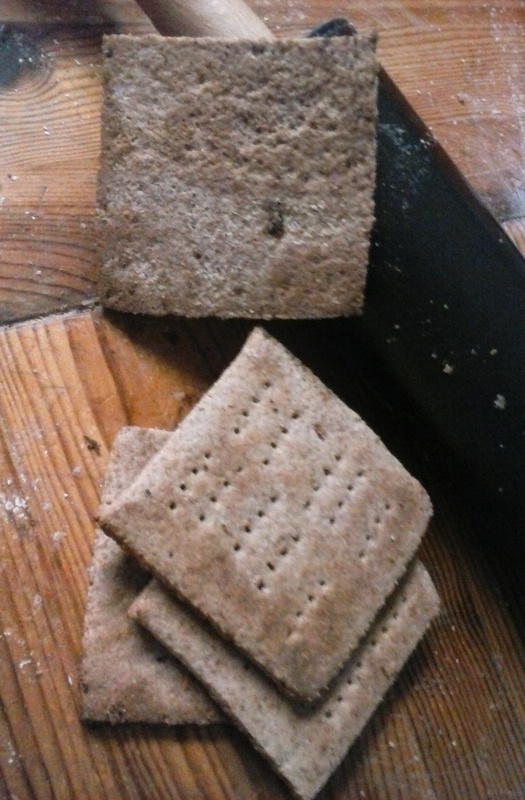 I don’t bake crackers for my family in a poor attempt to imitate store-bought goods. Mass-produced store goods are a poor approximation of REAL food. Crackers, despite what you might think, are a great example of this. What was the origination and purpose of the cracker? To be a processed, sugary snack food? Absolutely not. In fact, crackers were created over 200 years ago to give the wholesome, sustaining bread loaf longevity and portability for those working away from home. One of the original recipes was eventually sold to Nabisco and only then transformed into the uniform vehicle for corn syrup we know today. Even the graham cracker was once created for health. In the 1800’s Mr. Graham developed graham flour as a way to convince people to eat less processed white flour, by incorporating more of the healthy whole grain into the ground wheat. But of course this invention has also since been adulterated by mass production. If you want to reclaim the humble cracker as a vehicle for healthy food on the go, join our virtuous food movement and try this graham cracker recipe! Just mix, roll thinly, and bake at 350 degrees F for about 10 minutes. They will be a little soft but will get their crunch when they cool: don’t overbake or they will burn quickly; the taste is not very forgiving if burned. Enjoy the delicious crisp texture right away or keep airtight for good eating up to a week.